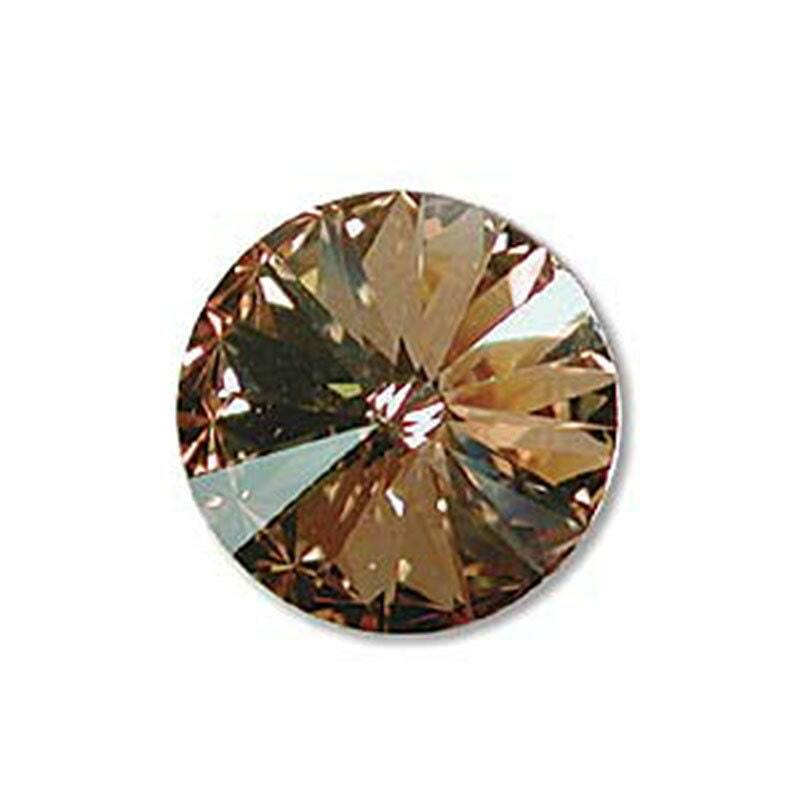 Swarovski Elements Crystal Golden Shadow 14mm foil back rivoli stone. These rhinestones have fantastic flash with a captivating sparkle. Rivoli rhinestones have no holes and have a single-sided foil backing that creates intense reflectivity. Pointed top and bottom adds increased depth and sparkle. These crystals are genuine Swarovski crystal. The finish is a custom coating not applied by Swarovski. Perfect- just what I needed. Thank you!